We'd been up since 3:30-4 a.m. We'd roadtripped seven hours from Sacramento. 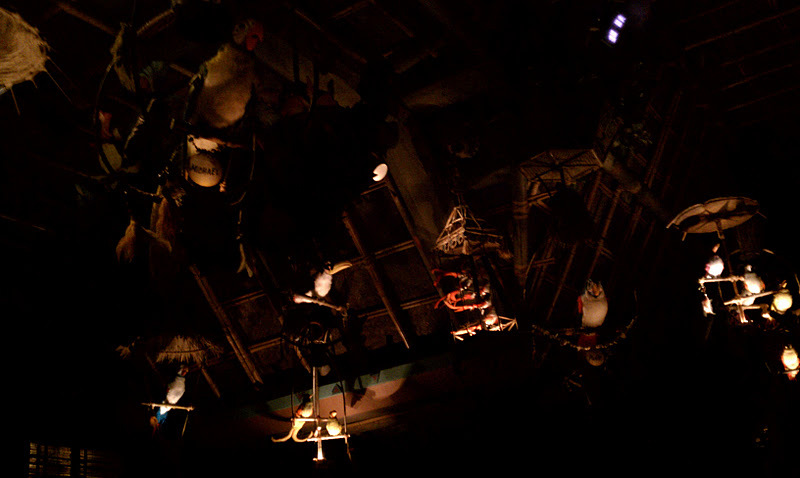 We were hell bent to cram in as much Disneyland as possible into our half day in the park, and that included an 11:20 p.m. Fast Pass for Indiana Jones. 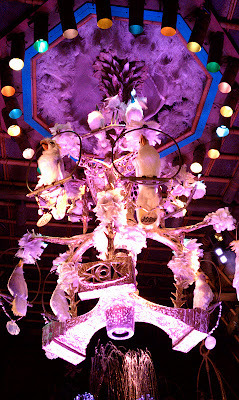 With 20 minutes to kill, we found a nearby diversion in the form of the Tiki Room. Little did I know how creeptastic that experience would be. TALKING BIRDS FROM AROUND THE WORLD, PEOPLE. Spooky. Singing animatronic birds from the golden age of Disney. At once cool and creepy. 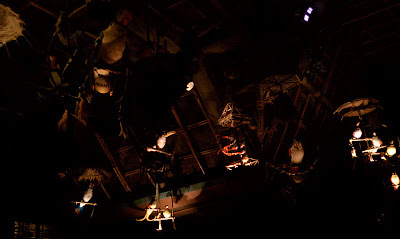 I read in a fact book that the Tiki Room is the only "ride" at Disneyland to have it's own bathrooms. Apparently it was meant to be a dinner theater experience. Yikes! To see a zillion less-scary photos, see our "Mother-Daughter Disneyland Adventure."